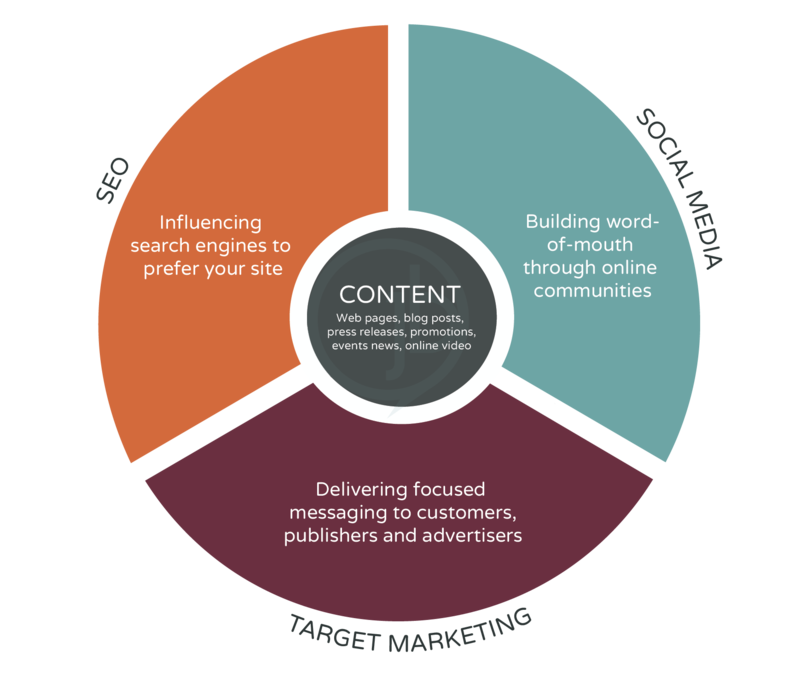 We consider online marketing to be an ecosystem – a system of interconnecting and interacting parts – formed by three distinct areas of content creation: search engine optimization, social media, and target marketing. Sustainable success in digital marketing is achieved using strategies that leverage the interrelationship of these ecosystem elements and are, ideally, implemented by a cohesive team of online marketing professionals. 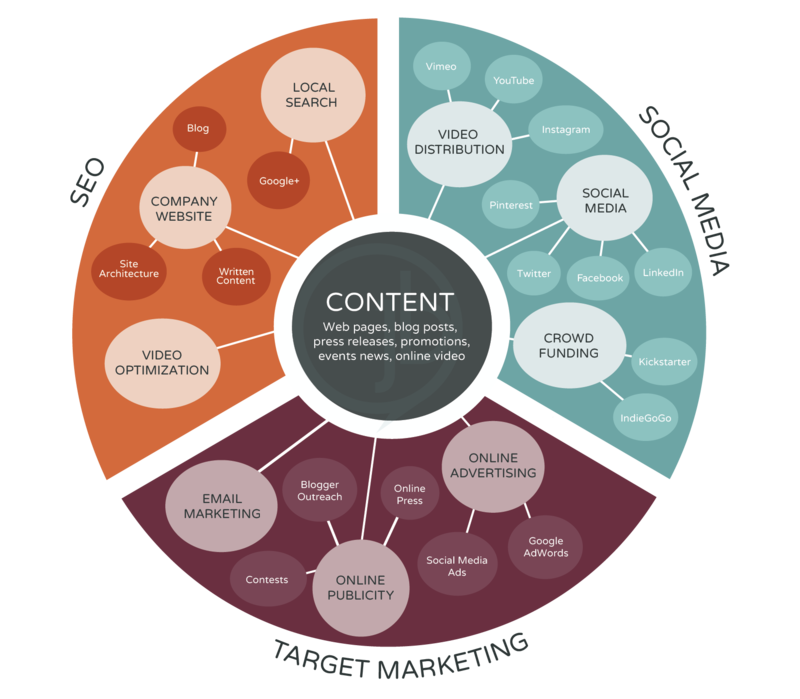 The specific strategies and individual tools included in a marketing ecosystem and used to execute digital marketing campaigns are dependent on many factors including the goals for the campaign as well as the company’s industry and their customer’s buying habits. While there are literally thousands of tools available, we prefer to utilize those that are proven to be effective in their respective function. We maintain a keen eye on new developments, monitor trends, and test new tools as they emerge. We are committed to informed decision making and sharing our knowledge of internet marketing with business and professionals. We’d be happy to answer your questions, provide a custom training or have you as a student in the JB Media Institute. Contact us to discuss the option that best meets your needs.